Thanks for dropping in to our page! We take great pride in offering top quality well socialized puppies in several breeds including; English Springer Spaniel, Lhasa Apso, Cavachon, Cavalier King Charles Spaniel, Cairn Terrier, Silky Terrier and Scottish Terrier. Countryside Kennels started in 1981 with one English Springer Spaniel as a family member and hunting companion. 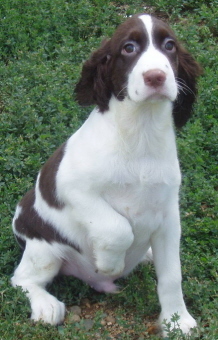 Our love for the breed encouraged us to start raising Springers for family, friends and neighbors. After all these years and with the addition of other breeds we have come to love, Countryside Kennels stands ready to help you select your next family member. The following pages are meant to help you select a puppy that is appropriate for your household. There are also links on each page to help you contact us for more information, pictures, etc. This web site will be changing frequently as we add pictures and comments from the folks who have purchased puppies from us. We will also be adding pages with information that will make the process of buying a puppy safer for you and the puppy, no matter where you decide to make your purchase.